KORG has announced a new line of add-on sample sound upgrades for the powerful KORG KRONOS 2 workstation keyboard, from Soundiron, who has been making awesome sample libraries for many years. Korg welcomes Soundiron to our growing family of sound developers, and is pleased to present their first two EXs libraries for Kronos. “Olympus” and “Voice of Gaia” are amazingly-detailed collections focused on Choral and Orchestral soundscapes, presented with stunning dynamics and detail. From film to television to video game scoring, Soundiron’s award-winning virtual instruments and libraries have been widely utilized and acclaimed for their depth and intuitive playability. 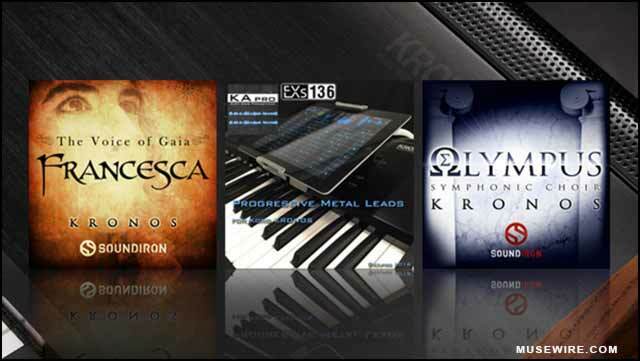 Olympus Kronos is a full symphonic choral ensemble library for the Korg Kronos with pristine acoustics, a powerfully rich tone and vibrant musicality. It features independent men’s and women’s sections, with pure “Ah” and “Oo” vowel staccatos and sustains and a pair of chromatic chanting sustains in Latin. Olympus Kronos also includes an extensive selection of custom FX presets, with atmospheric pads, undulating dreamscapes, stylized leads and ambient drones to give you a huge range of creative options. This 230 MB library includes 36 main choir presets and 25 custom FX presets. Built from Soundiron’s legendary Olympus Symphonic Choir Collection, these core articulations bring outstanding sound and stunning realism to the Kronos platform, in an efficient memory footprint at an exceptional value. This library requires the KRONOS system version 3.0.4 or later. 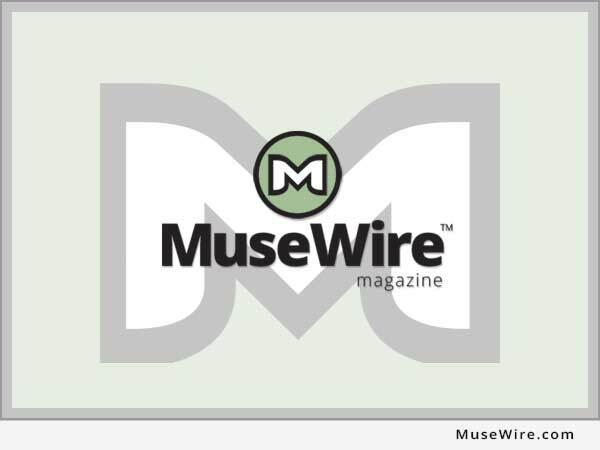 Please click here to download the latest available operating system version. Get the new Soundiron libraries at an introductory price through November 4, 2016. Learn more about Soundiron at: https://soundiron.com/. According to the company website, “Soundiron is a labor of love, jointly owned and operated by Mix Foundation TEC Award (2007) winning and BAFTA nominated Sound Designer/Audio Engineers Mike Peaslee and Gregg Stephens, and technology, scripting and systems wizard Christopher Marshall.” Their vast catalog of deep-sampled instrument libraries is the result of many years of professional musical, sound design and recording experience. They have worked on the production, design, recording, editing, scripting and programming of nearly 150 high-quality professional-grade deep-sampled virtual sample instruments over the course of their team’s careerz.